We’ve redesigned our mobile search results page. It now uses a card-based design and is responsive. This design gives searchers a more consistent user experience and access to the results anytime, anywhere, and on any device. Take a sneak peek of the new responsive results page. Go to USA.gov (or your website) from any mobile phone or tablet and do a search. 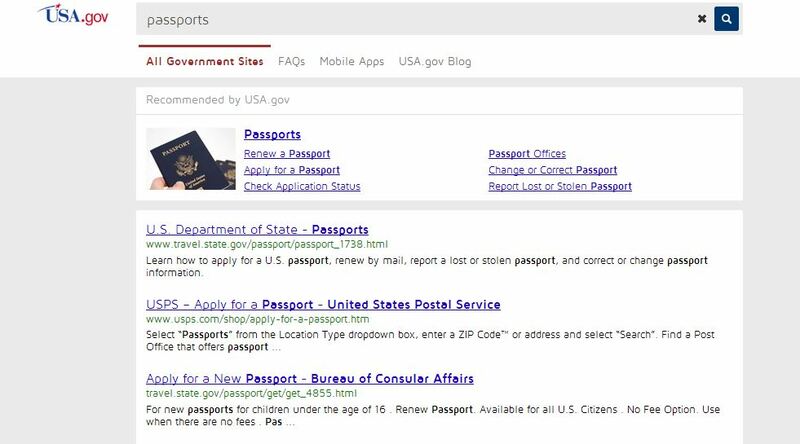 See the sample results page for a search on passports on USA.gov. You can also optimize your mobile search results page by adding or updating your mobile logo. The optimal size is 100×50 pixels (100 pixels wide and 50 pixels high). Not using DigitalGov Search yet? Check out the service and sign-up for an account.